The variations of color in our Indigo Blue Barcelona Concealed Carry Purse can only be matched by the sky at dusk. From dark navy to the hues of lapis, every nook and cranny of the deep embossed Barcelona pattern are exquisite. Perfectly paired with blue jeans, or a night on the town, the blues coordinate with everything fun in your closet. The tote-length strap with white stitching, complements this bag and allows the jewel-toned leather to take center stage. 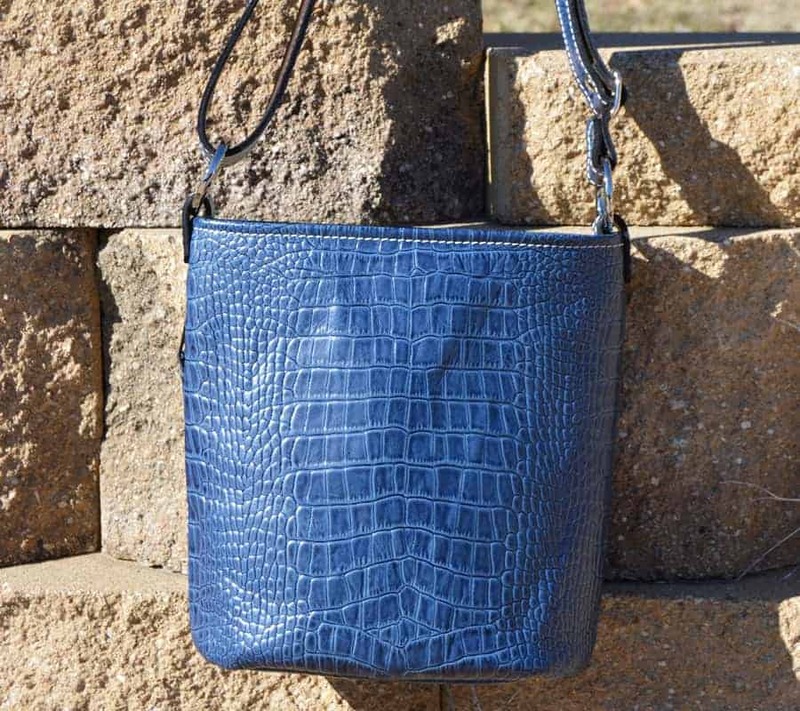 Our Indigo Blue Barcelona Concealed Carry Purse is available in both Bucket and Classic styles, with either a left or right hand draw. 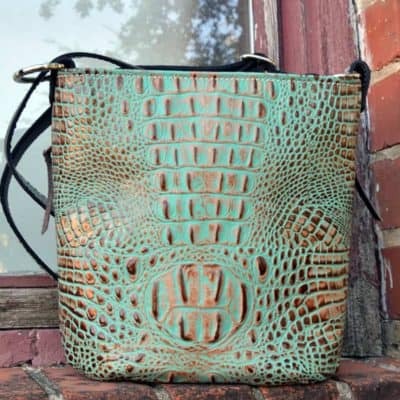 Due to the nature of the dyed leather, every concealed carry purse will be unique and have its own color characteristics. 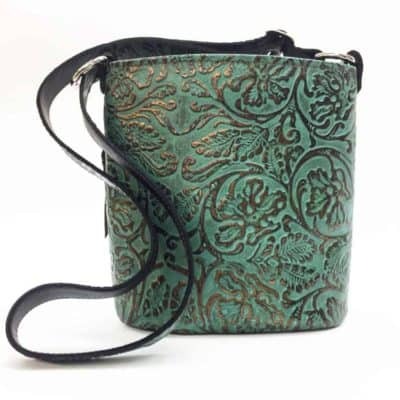 I love Moonstruck purses! This is the second purse I purchased and it is just as well made, unique and fashionable as the first. 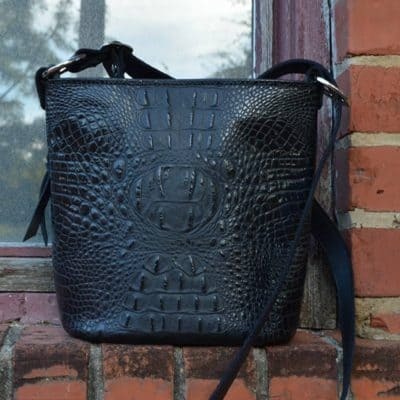 The purse matches any outfit, casual or can be dressed up. It has a roomy compartment not to mention cute patterned lining on the inside of the purse. The purse has enough room to conceal any size pistol without taking away from any space inside of the purse. Love the “locking” mechanism of buckle after length adjustment has been made when switching to over the shoulder purse or as crossbody purse. Will continue to buy Moonstruck purses in the future.